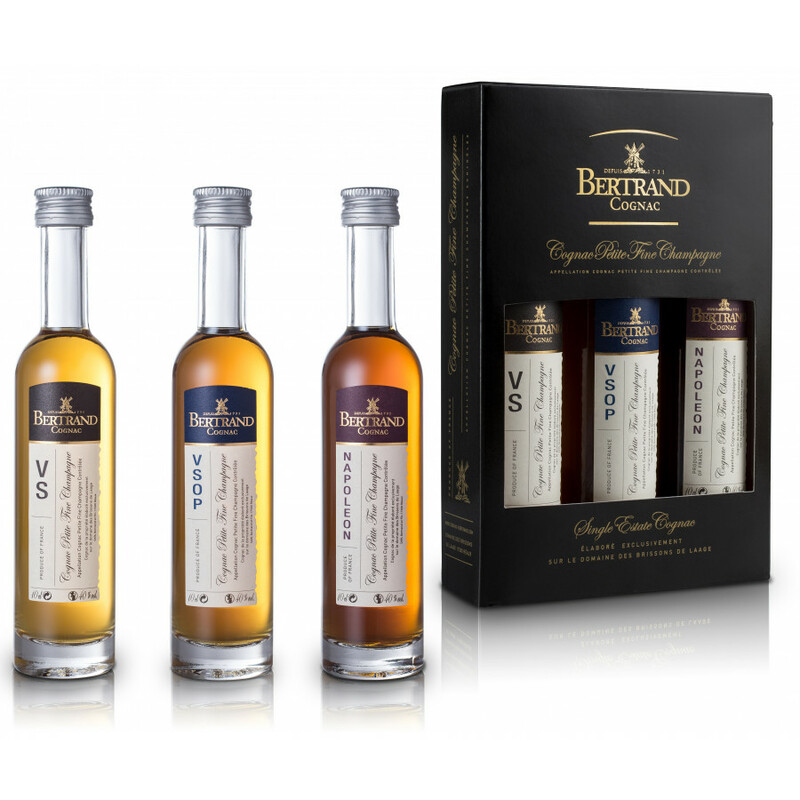 Bertrand VS: Well-balanced and floral with notes of vanilla and new oak. 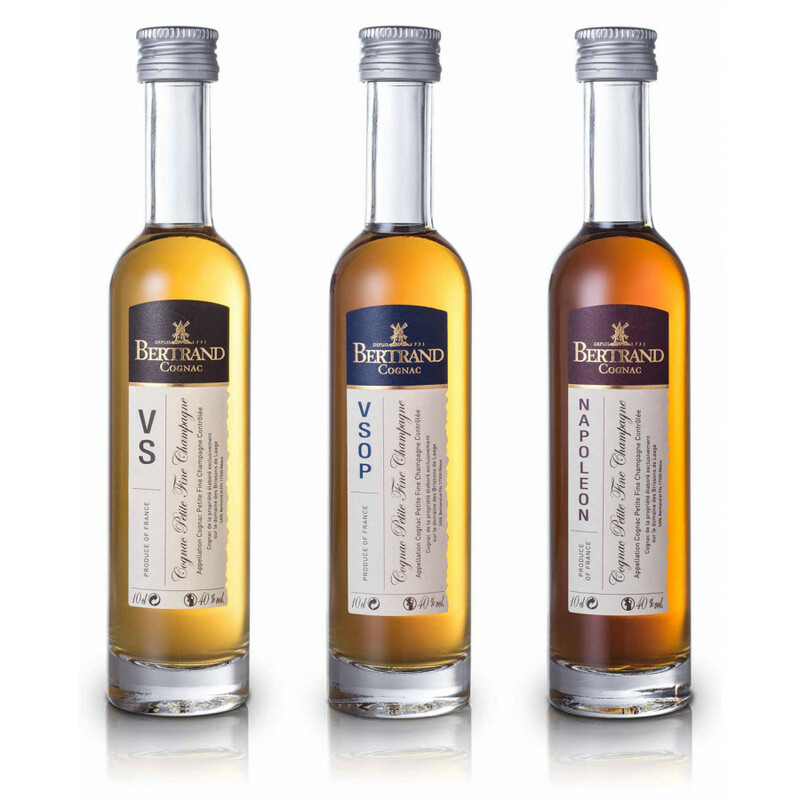 Bertrand VSOP: Notes of wood and toffee with a floral finish. Bertrand Napoleon: Round, fruity, and spicy on the nose. Comprising three award winning, single estate, Petite Champagne Cognacs. An opportunity to own not one, but three of the delights from the house of Bertrand. 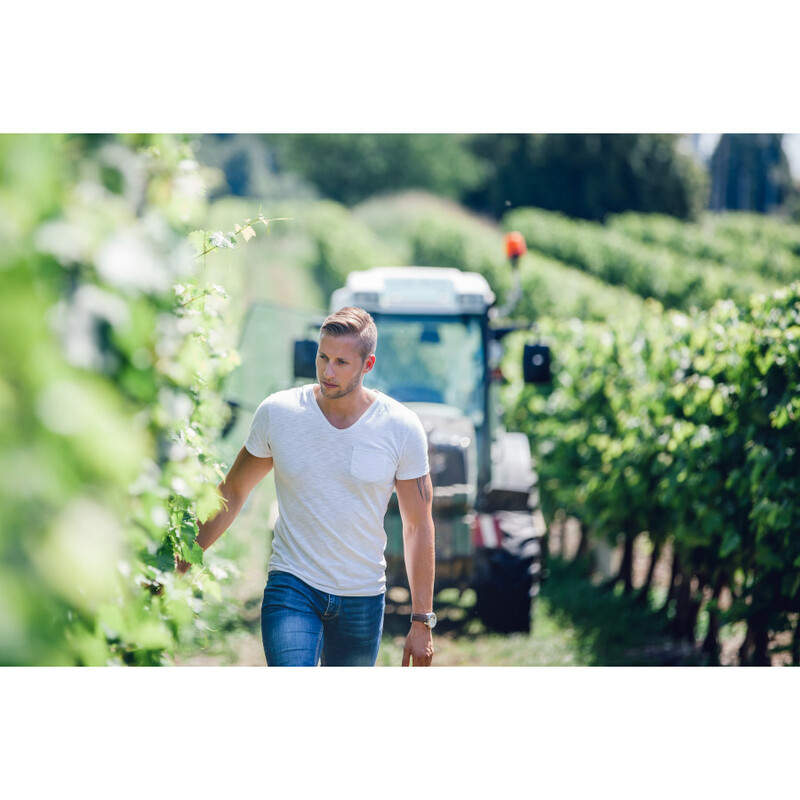 As with all of their craft offerings, these are single estate creations. 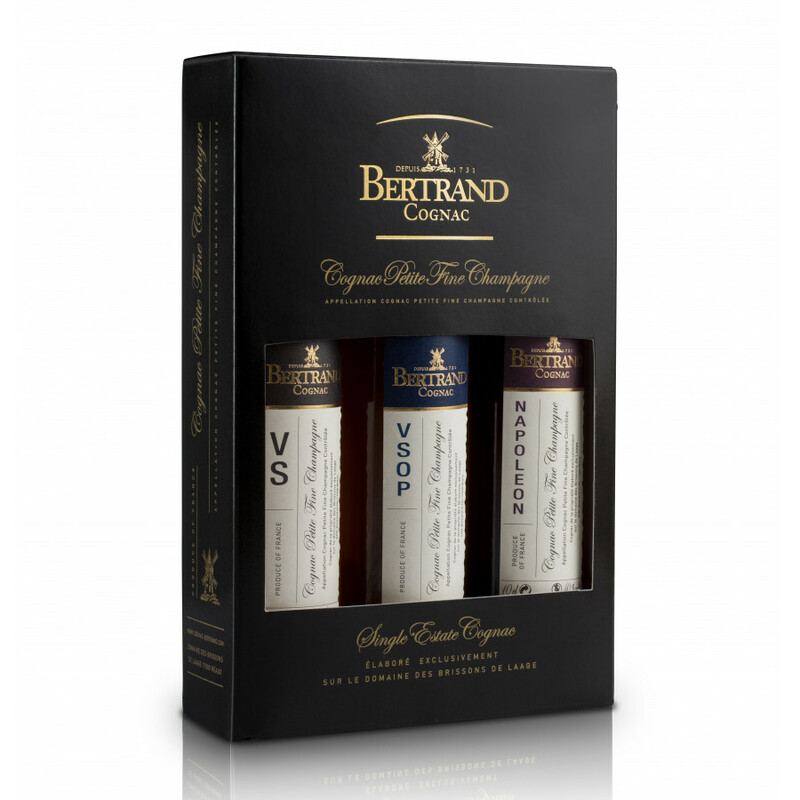 The perfect set to learn about the delights of Bertrand Cognac, not to mention a great choice of gift for anyone who appreciates the finer things in life. VS - Perfect as an aperitif or for cocktails. VSOP - A delicate and floral 10-year old Cognac. Serve neat or over ice. Napoleon - The perfect digestif to a good meal.